The Internet has been buzzing with the news that BitTorrent recently released about Project Maelstrom. As they mentioned, the program is in Alpha, and will likely not be completed for quite some time. 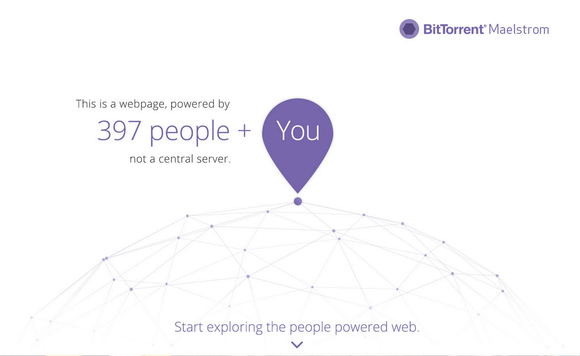 But what is Project Maelstrom, why is BitTorrent building it and why is it important? Project Maelstrom’s plan involves decentralizing the web browser. The new browser will support normal HTTP protocols, but will also support web torrents. Unfortunately, it cannot convert existing websites into torrents. In an email interview BitTorrent communications chief, Christian Averill, wrote, “In order for publishers and developers to take advantage of this, they have to publish their content as a torrent.” However, intermingling technologies will be possible, so an HTTP website will be able to support torrent content and visa versa. This web browser torrent could fundamentally change the way users access the Internet, helping the decentralization movement grow. This is yet another innovative approach to decentralizing the web. While some startups, like Peer5, are focusing on creating more efficient ways to deliver certain types of content, and others, including Maidsafe, are working to move the entire Internet experience off of servers, this is yet another example of a company trying to make the web a friendlier place. As bandwidth usage continues to grow, thanks to rich content like 4K videos and larger amounts of data transfer courtesy of the wearables and Internet of Things industries, this trend of decentralizing the web is here to stay. A P2P based web browser could offer many advantages. First of all, it could load sites and deliver content faster than current protocols because of the efficiency of P2P. This is especially true for popular sites, because the more users a site has, the more seeds there are to deliver content. Furthermore, thanks to the system's serverless architecture, the web could become much more scalable, without huge hardware expenditures. The second big advantage of the movement to decentralize the web is the openness and freedom that it creates. BitTorrent says that they believe a torrent based web would change the way that content is published, consumed and accessed. If a decentralized web could make publishing cheaper and easier, this would surely lead to more information being broadcasted and a more open web. Finally, decentralizing the web could improve neutrality and privacy at the same time. Without a server delivering communications, ISPs do not have a way figure out where traffic is coming from. This would limit the ability of ISPs to throttle delivery speeds and ensure net neutrality, without government intervention. The lack of servers also makes it significantly more difficult to track an individual’s information online. Without a centralized content delivery location, it's much harder to collect large amounts of user data. Many questions remain in regard to Project Maelstrom. For starters, a P2P browser can only be successful if it gains considerable user adoption. There are also many questions relating to encryption. However, given the current trends in content growth, it's only a matter of time until decentralizing the web becomes a requirement. Click here to learn how Peer5 is building a Serverless CDN using WebRTC.